Having started its journey as an anti-rootkit application, UnHackMe is a software tool that helps you get rid of various malicious software from your computer. 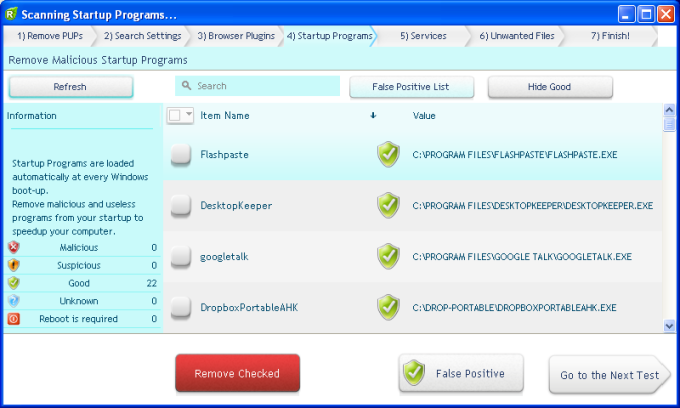 UnHackMe eliminates different malicious software, including Trojans, spyware, keyloggers, etc. The service should help you tackle search redirects, popup adverts, unwanted processes running in the background, slow browsing, and PUPs (potentially unwanted programs). To use this malware-removing tool, you need not uninstall or disable your existing antivirus software. UnHackMe is technically not an antivirus software. But it takes a different route that most antivirus software do not. For instance, it looks for junk files made by adware and spyware, tests Windows shortcuts, scans for rootkits, examines browser search settings and add-ons, tests DNS settings and host files, etc. UnHackMe is technically not an antivirus software. But it takes a different route that most antivirus software do not. For instance, it looks for junk files made by adware and spyware, tests Windows shortcuts, scans for rootkits, examines browser search settings and add-ons, tests DNS settings and host files, etc. 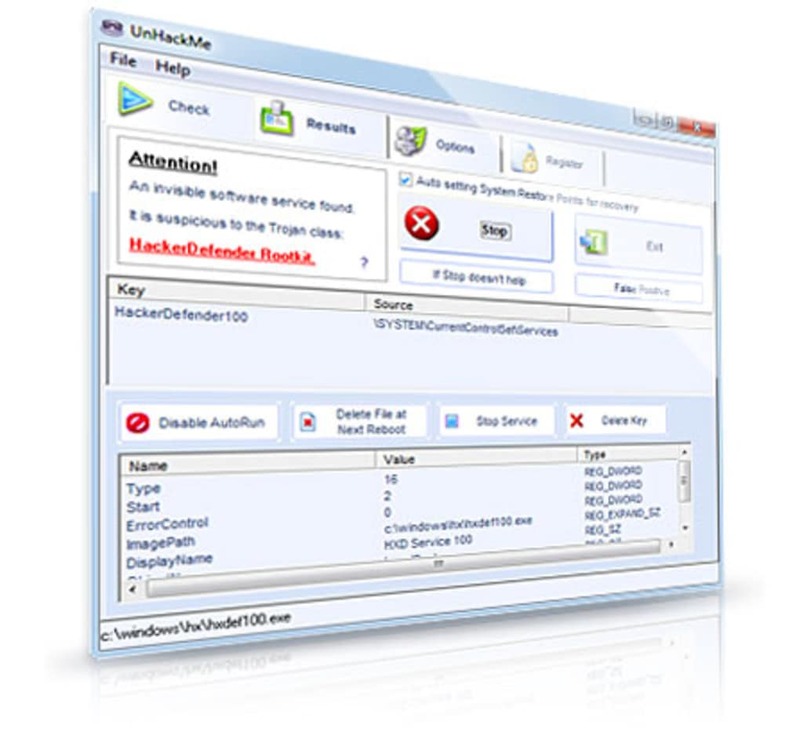 UnHackMe works in three different modes: normal Windows mode, offline scanning and remote checking. In the regular Windows mode, the software gets rid of unwanted programs by cleaning a browser, deleting Trojans, spyware and adware. Offline scanning works from USB/CD booting. This double-checking ensures suspicious codes are dealt with before they could enter the system. At this stage, locating and eliminating inactive malicious software is good. Also, it becomes easy to locate kernel rootkits that hide files and also boot-record rootkits and registry. Remote checking entails log file usage. With the log file, you can check problems there are with remote systems. Once the file is checked, a solution file is sent to the remote computer. Great job. . It was the only software I could get rid of Torrentex.ru and Get.search trojans with. Others, like Malwarebytes, Avira, adwcleaner didn't do the job. The program worked well for me to remove malware.. I love this program and their support team is friendly and efficient when you need help. Friendly and efficient support when you need it. Removes malware 5 different ways. it really works. its a really must have software. amazing. in just one scan. my pc back in its normal functions. like a new one.. thanks alot. What do you think about UnHackMe? Do you recommend it? Why?